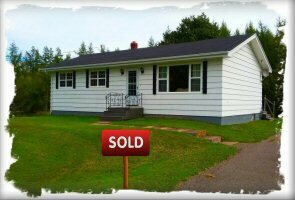 As a Real Estate Broker I can help you buy any MLS property in Prince Edward Island. 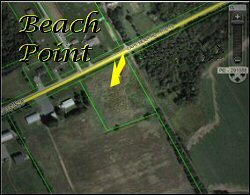 Approximately 20 Acre Oceanfront property located in White Sands, and close to all amenities. 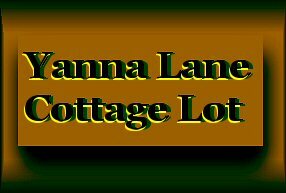 Great spot for your new Residential Dwelling, or Cottage. Hurry on this one ! Priced To Sell @$219,000. Large acreage on the deep & wide Murray River with sandy beach, and close to the 5 Murray Islands, and numerous fishing wharfs for great boating enjoyment. 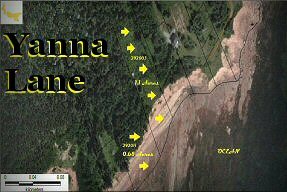 This property (P/O 288829) is approximately 3100 feet deep, and 800 feet water frontage with potential for 5 waterfront lots, and 5 back lots. (subject to verification by purchaser). Property to be divided off from larger parcel at Vendor's expense. Good investment for the new owner, and it may be YOU. 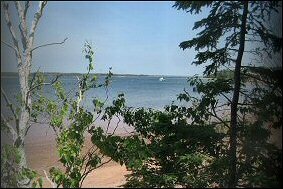 6+/- acre waterfront property fronting on the deep & wide Murray River in the scenic community of Murray River, PEI. Property is treed for added privacy, and a great place to build a permanent home or waterfront cottage. Great boating area as one can sail up to the Murray River Wharf, or sail down east to the other fishing wharfs, and the 5 Murray Islands, or sail right out to the Northumberland Strait (Ocean). 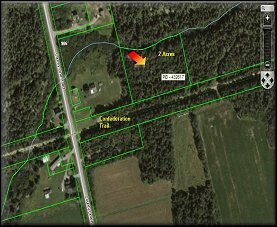 This acreage is to be divided from a larger Parcel by the Vendors before the closing date. *Assessment and taxes to be determined by the PEI government for the new owner. Price: $115,000. 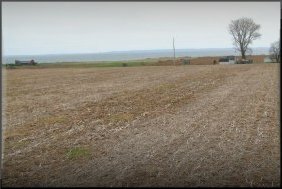 2 side-by-side Oceanfront Lots in southeastern PEI overlooking the Northumberland Strait, Pictou Island, and Nova Scotia in the background. This area is very private, just one cottage in the area. 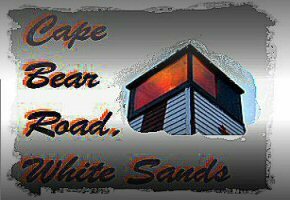 Short distance to historic Cape Bear Lighthouse, scenic fishing wharf & marina. This may be the one for YOU! Listing Price: $39,900. 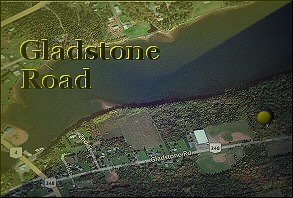 Terrific waterfront lot for your new cottage on the deep, & wide Murray River in southeastern PEI. From this lot you can boat to 6 scenic Fishing Ports, explore the 5 Murray Islands, or motor right out to the Northumberland Strait (Ocean). Close by is Kings Castle Provincial Park, Eaglesview Golf Course, Confederation Walking Trails, and only 15 minutes to the busy town of Montague. List Price: $39,900. 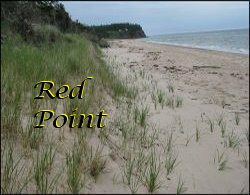 119 Acres INCLUDING Oceanfront lot in southeastern PEI. Property is priced below assessment, and has potential for subdividing off lots. Very wide frontage on the Cape Bear Road, and Black Brook Road. Oceanfront lot is located just East of the historic Cape Bear Lighthouse. Listing Price: $77,500. 1 acre ocean beach property that would be the perfect spot for your new cottage for personal use, or high income/per week oceanfront rental unit. This property has a panoramic view of the Norhtumberland Strait (Ocean), and slopes to a private white sand ocean beach that is known as "Singing Sands" because the sand makes a distinctive singing sound that is unique to this region of Prince Edward Island. 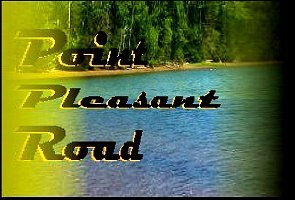 Not far away are 2 super Provincial Parks: Red Point Provincial Park & Basin Head Provincial Park. 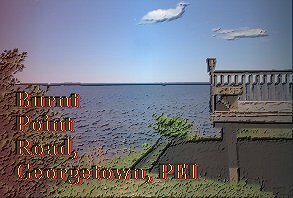 It's extremely RARE for an oceanfront property to go on the PEI Real Estate market in this region of PEI, so don't delay, call George @ 902-962-2050 and put in your offer. List Price: $143,500. 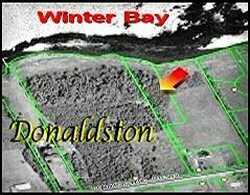 (PEI Real Estate)1.1 Acre Waterfront lot fronting on beautiful Winter Bay in Donaldston, PEI.This private waterfront property would be an excellent place for your new secluded cottage. Excellent location as it is not far from the capital city of Charlottetown, and Tourist Attractions. 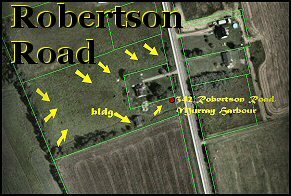 There is a 20 foot Right Of Way from the Donaldston Road to the property. To view the property, you must walk down (not drive)the Right of Way because there is no Culvert in place. List Price: $24,990. Large waterview acreage on scenic Burnt Point Road in an area of upscale cottages, and not far from Main St., Georgetown home of the highly touted Georgetown Playhouse. This property is near the point of the peninsula that looks out over the Northumberland Strait with spectacular views, very close to 2 Golf Courses, and.just a short distance to the busy town of Montague. Give this one a look, it just may be your new PEI gem. List Price: $59,000. Canadian. Private cottage lot near the historic Cape Bear Lighthouse in Southeastern PEI, and close to ocean sand beaches, scenic fishing wharfs, and only 20 minutes to the busy town of Montague. 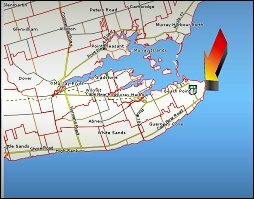 Give this one a look, it may be the location of your new cottage. List Price: $14,900. Reduced To $12,500. 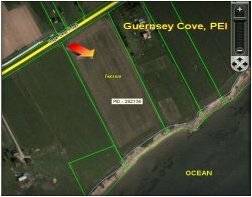 27.29 Oceanview acres fronting on the Guernsey Cove Road, in Guernsey Cove, PEI. Excellent farmland. List Price: $54,900. 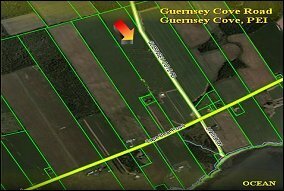 Spectacular Oceanview 46.5 Acres, with 560 +/- feet frontage on paved highway in scenic Guernsey Cove, Prince Edward Island, Canada. Wonderful/unrestricted view of the Northumberland Strait (Ocean), and Nova Scotia in the distance. Super location for your summer or full-time home. Potential for dividing this property for extra options. Assessment/taxes to be determined. For more information on this special acreage, call 902-962-2050. List Price: $79,900. 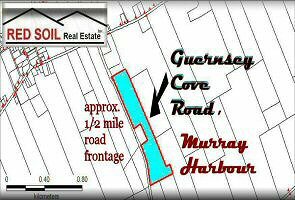 11.3 Acre wooded building lot very near the waterway leading into the Murray Harbour Wharf & Marina. Great location to have a sail/motor boat moored just below this property.Property has a long frontage on a paved road, and is close to scenic fishing wharfs, beaches, and all amenities. List Price: $19,000. Well maintained 3 bedroom bungalow in quiet setting approximately 10 minute drive to capital city of Charlottetown. This property has many features & updates, and includes fridge, stove, washer, dryer, microwave, and dishwasher. Give this property a look, it may just be your future home. List Price: $174,900. 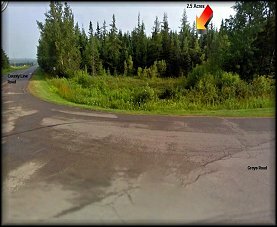 2.0 Acre Building lot near the scenic rural community of Hopefield, near Murray River, PEI. Property backs onto the Confederation Trail, and is close to Golf Course & amenities. Both Hopefield lots can be purchased for $6000. 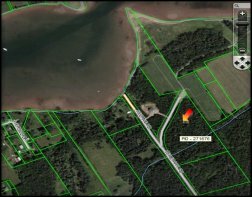 2.5 Acre Wooded building lot on the corner of Greys Road & County Line Road in Hopefield, PEI not far from the scenic community of Murray River. Property is close to Golf Course & amenities. Good private location for your new home. Both Hopefield lots can be purchased for $6000. 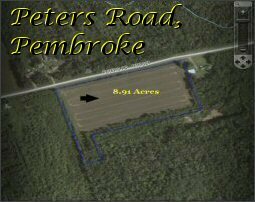 35+/- Acres mostly wooded with clear space on the South End for resident lot, approximately one-half mile frontage on Guernsey Cove Road. List Price: $19,500. Large 1.5 Acre building lot fronting app. 250 feet on Cape Bear Road in scenic Beach Point. Property is close to ocean sand beach, & picturesque Beach Point Wharf for great boating & fishing. List Price: $7000.